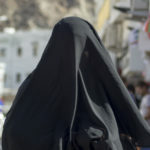 After the National Assembly narrowly accepted a proposal for a nationwide ban on the burka, the Council of States (upper house), rejected the plan on Thursday by 26 votes to 9, with 4 abstentions. The proposal put forward by Walter Wobmann (UDC/SVP) has now been definitively rejected. At the same time Walter Wobmann has started collecting signatures for a referendum on the issue, and has until September to gather the minimum 100,000 signatures needed to launch a popular vote. In the end it could be the people who decide rather than the government. However, before that happens 100,000 signatures need to be collected. A poll taken last year showed that 71% were in favour of a ban, especially in the German- and Italian-speaking regions of Switzerland.